ICON Sport, formerly known as SUPERBRAWL Icon Sport, is a mixed martial arts organization based in Honolulu, Hawaii. With shows dating back to 1995, the organization is one of the longest-running promotions in the United States. Icon Sport Hard Times Aug 2, 2008 (2:57:52) Icon Sport: Hard Times from August 2, 2008 in Honolulu, Hawaii, USA. Icon Sport Baroni vs Hose Mar 31, 2008 (2:39:22) Icon Sport: Baroni vs Hose from March 31, 2008 in Hawaii, USA. Icon Sport Epic Mar 31, 2007 (1:41:28) Icon Sport: Epic from March 31, 2007 in Hawaii, USA. Icon Sport All In Feb 9, 2007 (1:37:29) Icon Sport: All In from February 9, 2007 in Honolulu, Hawaii, USA. Icon Sport Mayhem vs Trigg Dec 1, 2006 (2:06:21) Icon Sport: Mayhem vs Trigg from December 12, 2006 in Hawaii, USA. Icon Sport Mayhem vs Lawler Sep 2, 2006 (2:54:40) Icon Sport: Mayhem vs. Lawler from September 2, 2006 in Honolulu, Hawaii, USA. Icon Sport Lawler vs Niko 2 Feb 25, 2006 (2:31:24) Icon Sport: Lawler vs Niko 2 from February 25, 2006 in Honolulu, Hawaii, USA. Icon Sport Opposites Attract Oct 28, 2005 (2:54:27) Icon Sport: Opposites Attract from Octubre 28, 2005 in Hawaii, USA. SuperBrawl SuperBrawl 41 Jul 23, 2005 (2:40:55) SuperBrawl 41 from July 23, 2005 in Honolulu, Hawaii, USA. SuperBrawl SuperBrawl 39 Apr 9, 2005 (2:32:09) SuperBrawl 39: Destiny from April 9, 2005 in Honolulu, Hawaii, USA. SuperBrawl SuperBrawl 38 Dec 12, 2004 (2:14:43) SuperBrawl 38 from December 12, 2004 in Honolulu, Hawaii, USA. SuperBrawl SuperBrawl 36 Jun 18, 2004 (2:16:08) SuperBrawl 36 from June 16, 2004 in Hawai, USA. SuperBrawl SuperBrawl 35 Apr 16, 2004 (1:59:33) SuperBrawl 35 from April 16, 2004 in Honolulu, Hawaii, USA. SuperBrawl SuperBrawl 34 Mar 28, 2004 (1:25:23) SuperBrawl 34 from March 28, 2004 in Honolulu, Hawaii, USA. SuperBrawl SuperBrawl 32 Dec 5, 2003 (41:39) SuperBrawl 32 from December 5, 2003 in Honolulu, Hawaii, USA. SuperBrawl SuperBrawl 31 Sep 20, 2003 (1:20:43) SuperBrawl 31 from September 20, 2003 in Honolulu, Hawaii, USA. SuperBrawl SuperBrawl 30 Jun 13, 2003 (1:58:20) SuperBrawl 30 from June 13, 2003 in Honolulu, Hawaii, USA. SuperBrawl SuperBrawl 28 Feb 8, 2003 (2:13:36) SuperBrawl 28 from February 8, 2003 in Honolulu, Hawaii, USA. SuperBrawl SuperBrawl 25 Jul 13, 2002 (1:31:04) SuperBrawl 25 from July 13, 2002 in Honolulu, Hawaii, USA. SuperBrawl SuperBrawl 24 Apr 27, 2002 (3:03:25) SuperBrawl 24 from April 27, 2002 in Honolulu, Hawaii, USA. SuperBrawl SuperBrawl 23 Mar 9, 2002 (58:35) SuperBrawl 23 from March 9, 2002 in Honolulu, Hawaii, USA. SuperBrawl SuperBrawl 22 Nov 2, 2001 (55:38) SuperBrawl 22 from November 2, 2001 in Honolulu, Hawaii, USA. SuperBrawl SuperBrawl 21 May 24, 2001 (1:24:44) SuperBrawl 21 from May 24, 2001 in Honolulu, Hawaii, USA. SuperBrawl SuperBrawl 17 Apr 15, 2000 (2:15:34) SuperBrawl 17 from April 15, 2000 in Honolulu, Hawaii, USA. 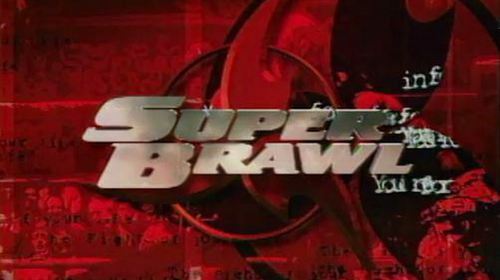 SuperBrawl SuperBrawl 13 Sep 7, 1999 (2:26:14) SuperBrawl 13 from September 7, 1999 in Honolulu, Hawaii, USA. SuperBrawl SuperBrawl 12 Jun 1, 1999 (2:23:57) SuperBrawl 12 from June 1, 1999 in Honolulu, Hawaii, USA. 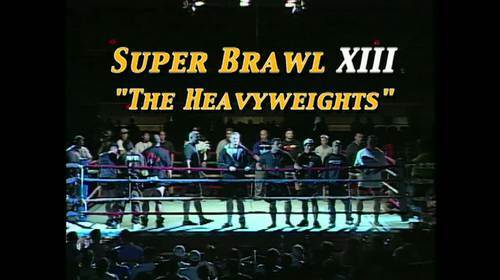 SuperBrawl SuperBrawl 11 Feb 2, 1999 (1:01:12) SuperBrawl 11 from February 2, 1999 in Hawaii, USA. SuperBrawl SuperBrawl 8 Aug 4, 1998 (1:48:51) SuperBrawl 8 from August 4, 1998 in Honolulu, Hawaii, USA. SuperBrawl SuperBrawl 5 Aug 23, 1997 (1:15:23) SuperBrawl 5 from August 23, 1997 in Guam, Guam, USA. 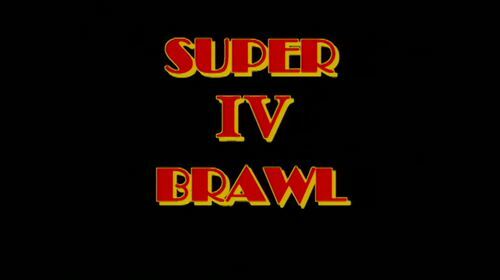 SuperBrawl SuperBrawl 4 Apr 9, 1997 (1:47:29) SuperBrawl 4 fom April 9, 1997 in Honolulu, Hawaii, USA.